We were proud and delighted to have been chosen as the British Veterinary Nursing Association’s (BVNA) official Charity of the Year from October 2015. 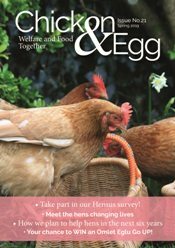 Throughout 2015/16 we worked alongside the organisation to raise awareness and funds for our Hen Advice Line. The more success we have in re-homing activity, the more demand there is for our support and after care service, and what was once an occasional enquiry has now become a steady stream through a range of media. 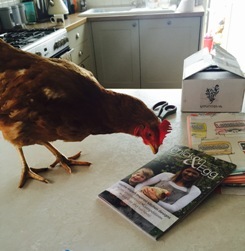 With the support of the BVNA, we aimed to improve our hen health advice thereby supporting the growing number of people who choose to help our lovely hens, and keep hens as pets. Throughout our 12 months as Charity of the Year we had a number of articles published in the veterinary press which further helped our aim of improving the care of backyard flocks among vets. You can see more details about these articles in the press coverage section of this website. We hope to maintain this level of coverage despite our Charity of the Year status coming to an end. Also throughout the 12 months the organisation kindly took part in several fundraising initiatives, raising a total of £5,287.22. The fundraisers included abseiling down a water tower and a 26-mile walk – all for the girls! We are incredibly grateful to those who took part. To find out more about the BVNA visit their official website here.